You can get BIFs at good angles from this particular bridge..............and against various backgrounds. 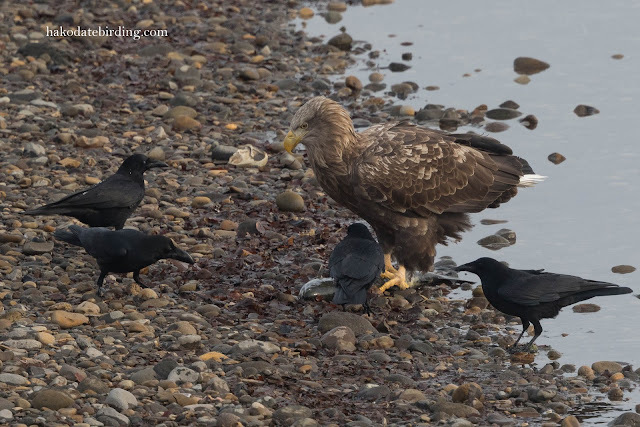 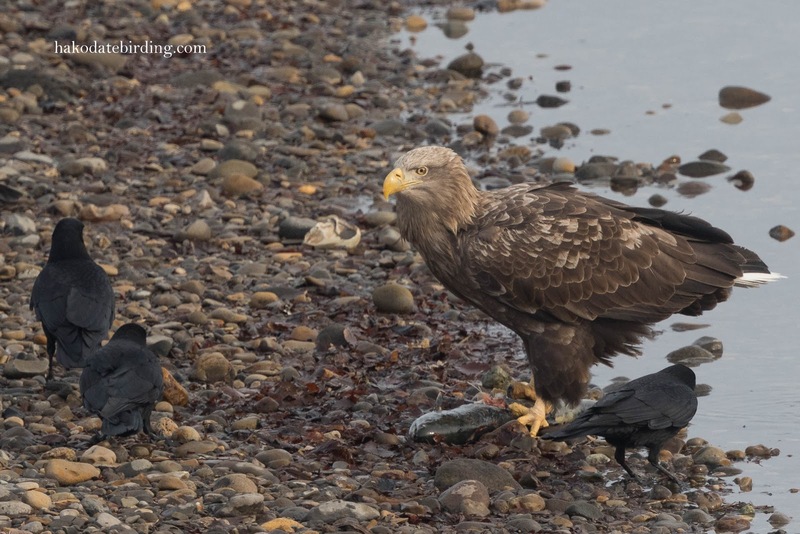 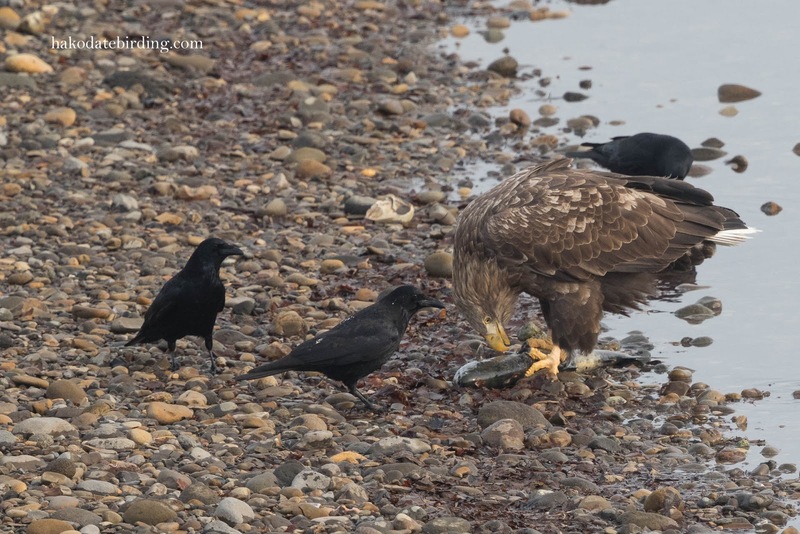 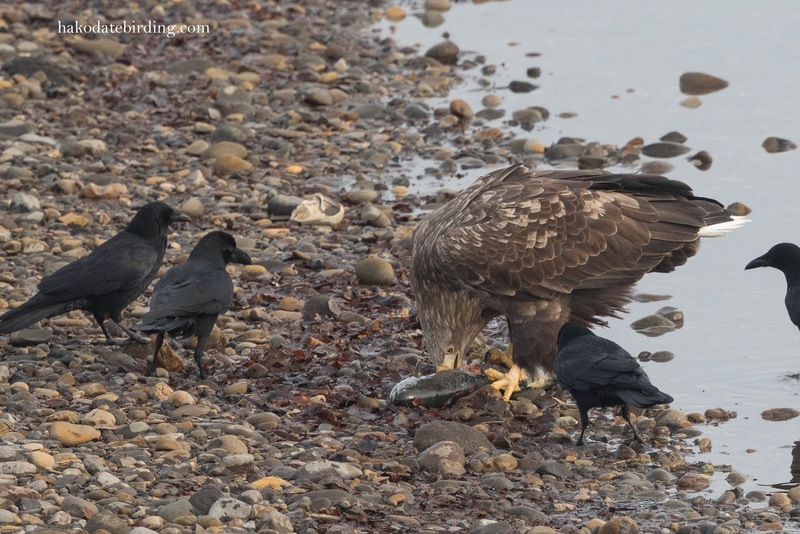 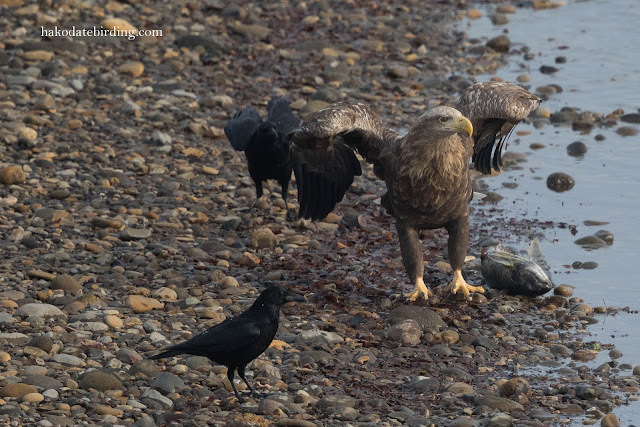 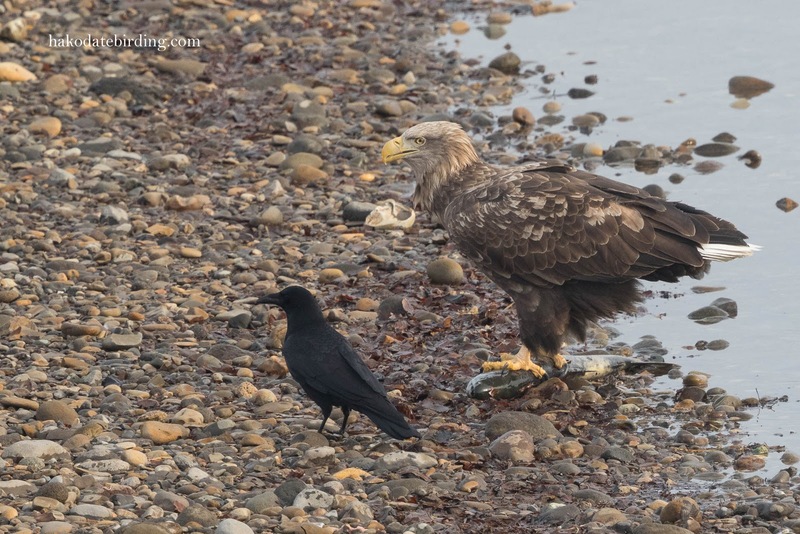 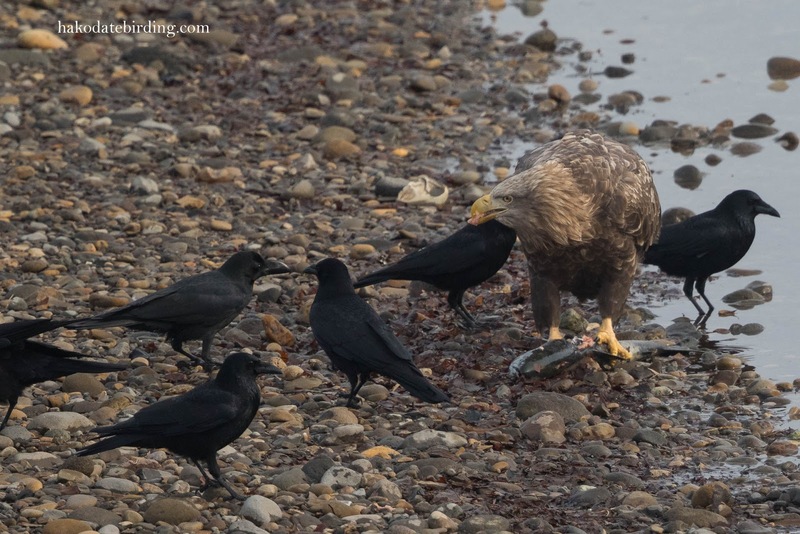 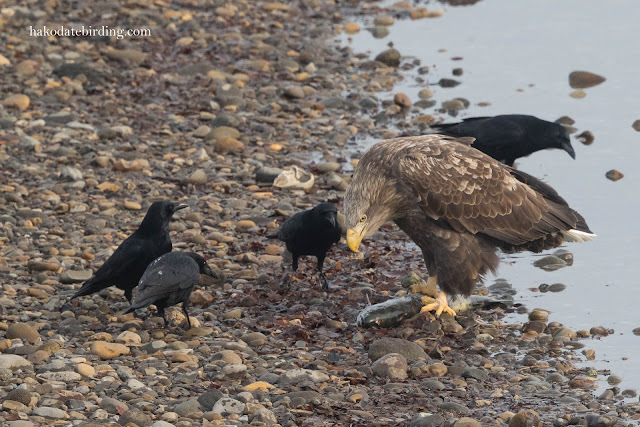 Every so often the eagles flap down for a salmon carcass..............and get swarmed by the local crows. 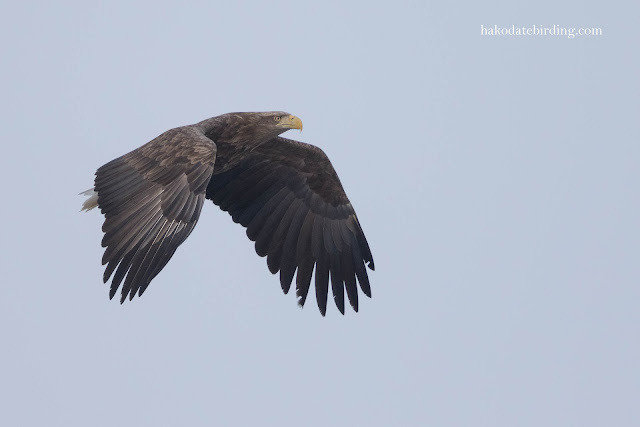 I tend to concentrate on the eagles but there are other birds of course. Peregrine, Smew, Great Egret, Whooper Swan and Long-billed Plover (below). If I didn't know better I might swear those crows are actually Jackdaws such is the size difference.Super BIF shots of those magnificent eagles again Stu. Thanks Phil, they make Jackdaws look like Starlings! 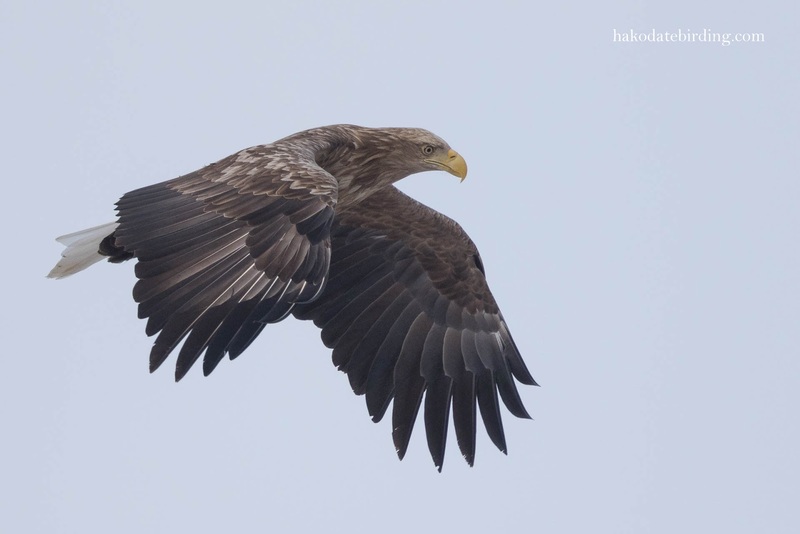 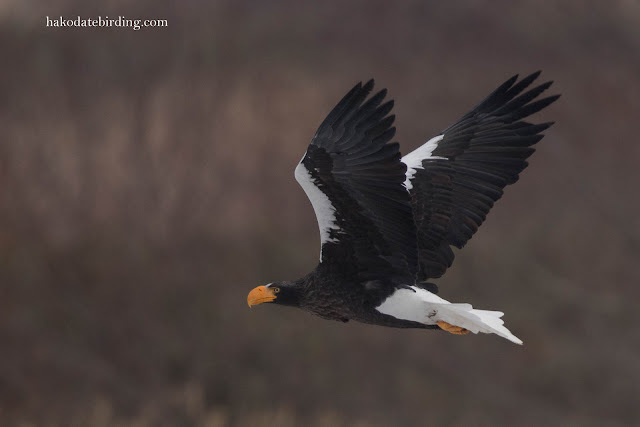 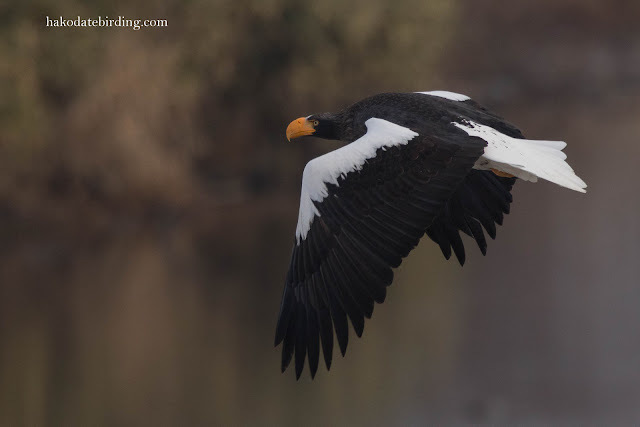 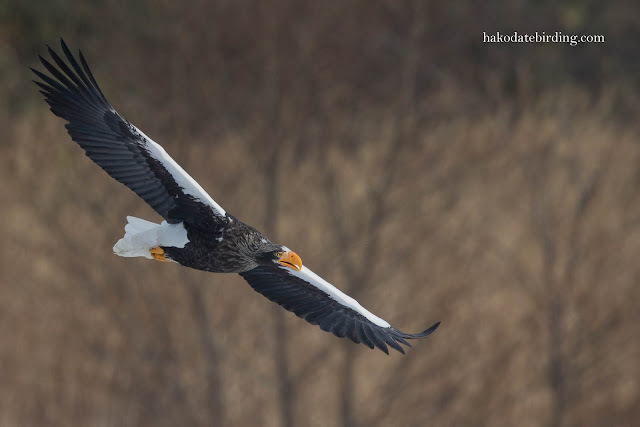 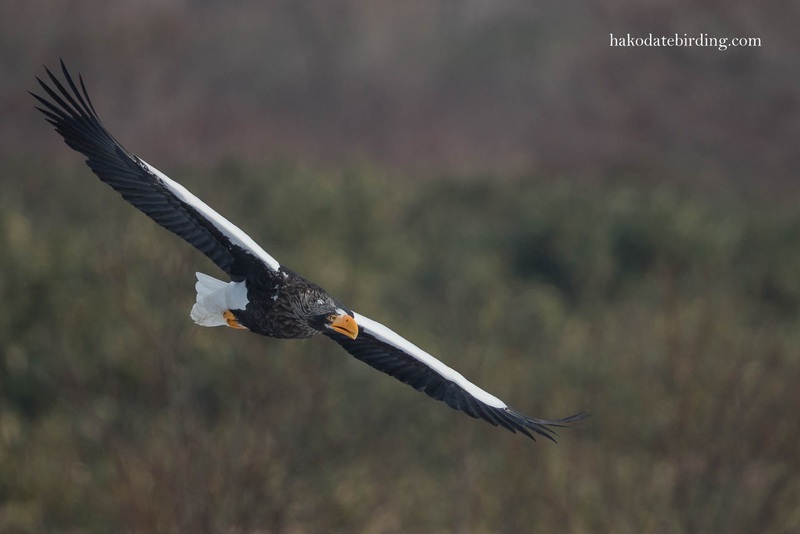 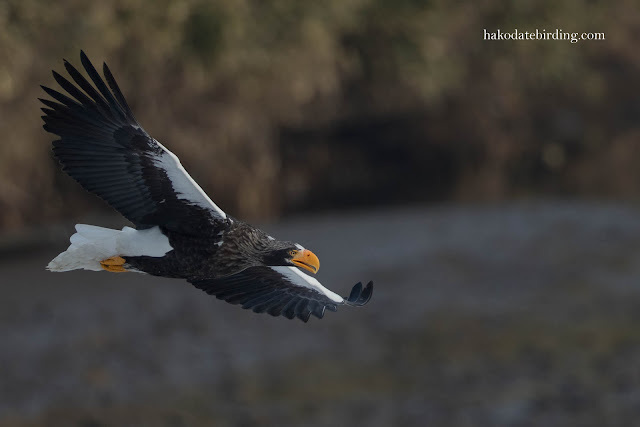 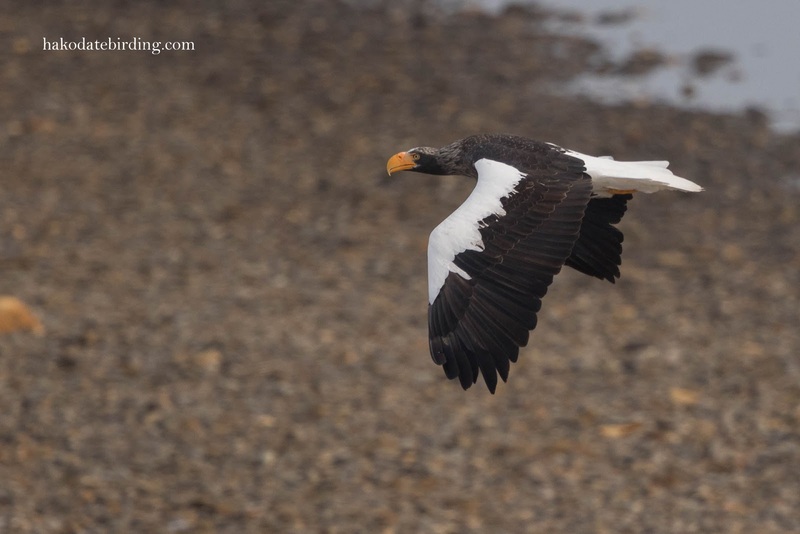 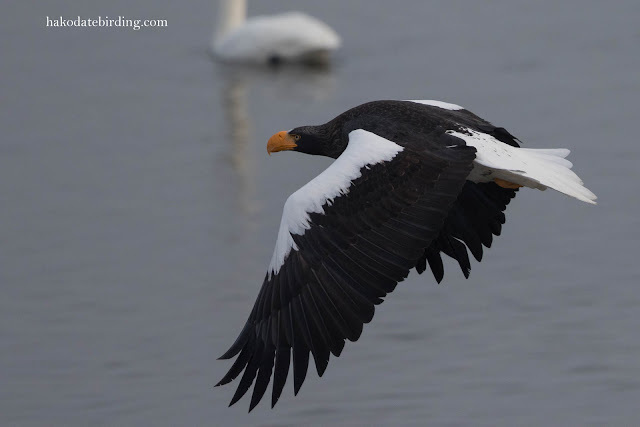 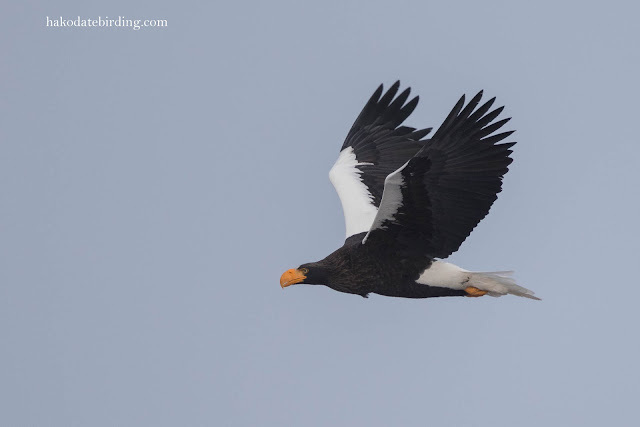 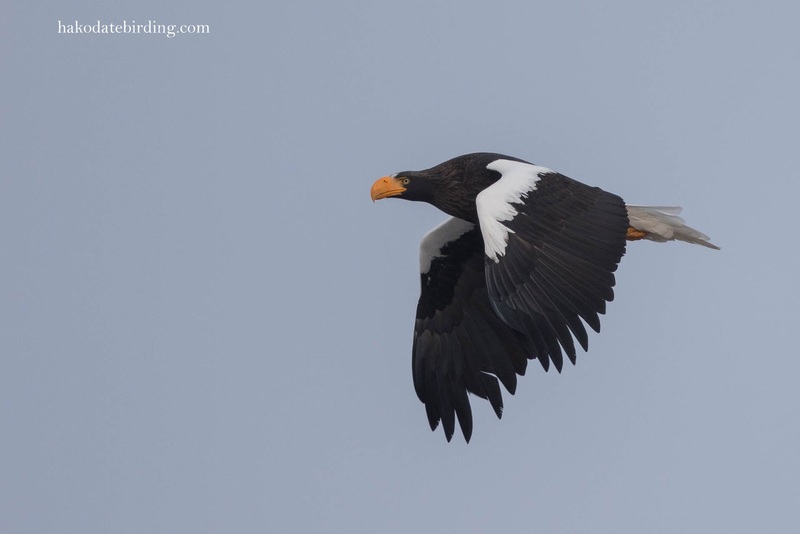 You certainly have some wonderful Eagles in flight images. 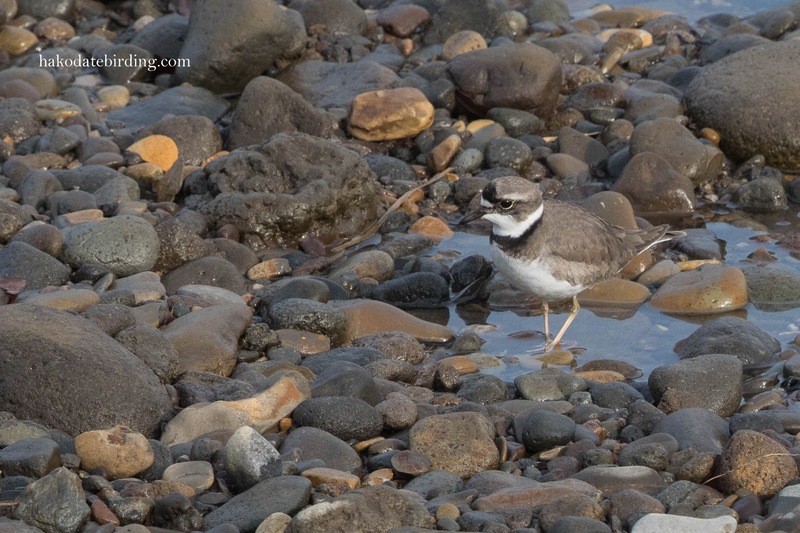 Please post one of the Smew soon as it's a bird I'd really like to see!